Bee Block Swap | 3rd Quarter Sign Ups are CLOSED. We’re so excited at how well the first & second quarter bee block swaps went! We had 24 participants for Q1 and 15 participants in Q2 who swapped blocks and WOW were they were gorgeous! Now it’s time for our 3rd and final quarter bee block swap. Even if you participated in past quarters, you still need to sign up if you’d like to participate again. – Each Bee Hive consists of no more than 6 quilters. – There will be as many hives as needed to accommodate those who would like to participate. – Stella will be the “Queen Bee” for all hives – if you have any questions, concerns, or issues, please contact her before the quarter ends. – You’ll have 3 months to make a quilt block for each quilter in your hive (+ 1 for yourself if you choose). It is important that you make your blocks following these guidelines so they will be usable when piecing a quilt. – Select a quilt block that is within your skill level. – Use fresh, modern, new, quilt shop quality fabric for your blocks. 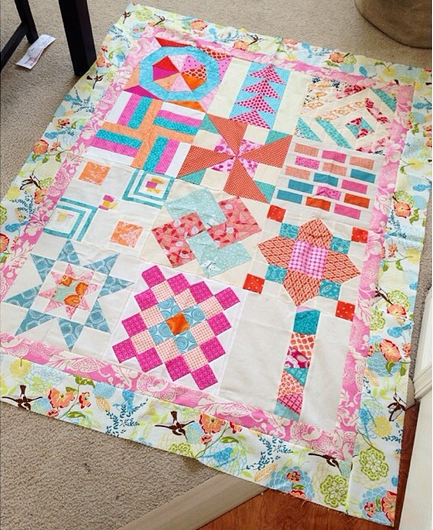 – Everyone uses their own fabric stash to create the blocks and no one can request certain fabrics or designers. – Take the time and effort to construct your blocks well and use a ¼ inch seam allowance (unless your pattern dictates otherwise). Anything less will likely fall apart. Blocks that are too large or too small, even by a 1/4″ are sometimes not usable. You may choose to make a test block before constructing the blocks for your hive to ensure that the block will size correctly. A simple block well-constructed is always better received than a complicated block that is falling apart from poor construction. – The block should measure 12.5 inches square when complete. – Please only use neutral colored thread. – This quarter will run from September – November. – Sign-ups will take place from August 24 – August 31. – Once sign ups close, you’ll receive the names of the quilters in your hive as well as their color palettes and any additional information provided on September 1st. 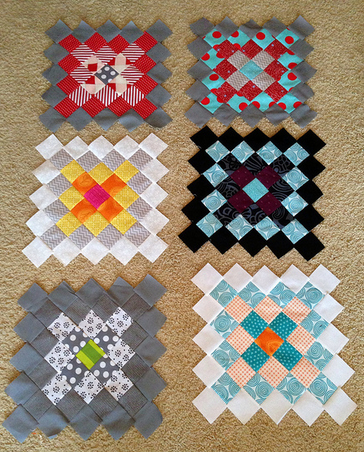 – Finished squares for this quarter can be distributed early but are due at the November guild meeting. – Plan ahead! The quarter goes by very quickly. Please don’t wait until the last minute to start your blocks. This is a commitment and by signing up we expect you to follow through with that commitment. Sometimes things happen, so if you have an unforeseen emergency, please contact Stella ASAP! Ok, that’s great, but how do I sign up?? Easy! Complete the form below. You’ll receive a confirmation that your sign-up was received. Last day for sign-ups is August 31st. Hope you’ll join us!